Sunday will mark the 585th episode of The Simpsons, which will also mark nearly that many unique couch gags to open the show—a feat almost as impressive as the series lasting 27 seasons (and counting). Previous couch gags have brought in guest directors Guillermo del Toro and Sylvain Chomet, channeled Game of Thrones and referenced the Futurama crossover. Sunday&apos;s upcoming couch gag does not disappoint. 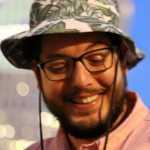 It&apos;s a little bit Miami Vice, a little bit GTA Vice City, a little bit Scarface, a little bit Kung Fury, and a little bit magical flying couch. There&apos;s even some VHS-style tracking issues added in for extra authenticity. 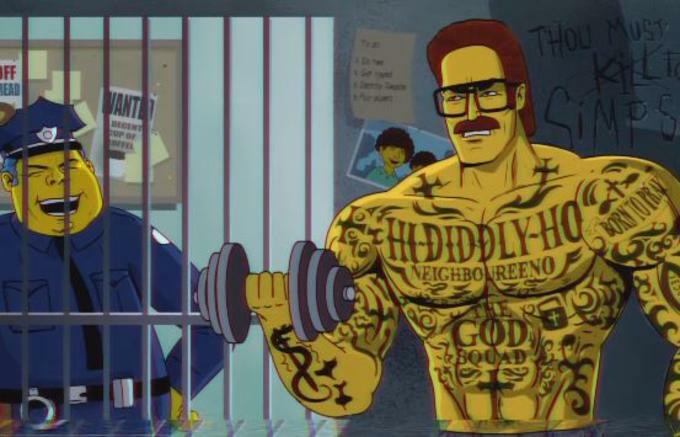 Don&apos;t blink or you&apos;ll miss the tatted up convict version of Flanders.